The 40th birthday wishes you choose can truly make someone's special day. For many of us, including the soon-to-be- 40 year old birthday boy or girl, turning 40 is akin to entering middle age and, even worse, the dreaded "midlife crisis" zone. 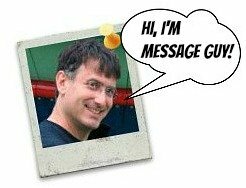 A funny, inspirational and/or thoughtful birthday message can help smooth the way (or, at least, start smoothing the way), making the birthday girl or boy feel younger at heart and even look forward to the fortysomethings on his or her 40th birthday. The best 40th birthday wishes celebrate the milestone of turning 40 with the perfect mix of humor, insight and encouragement. That mix is done perfectly right here. Happy birthday! 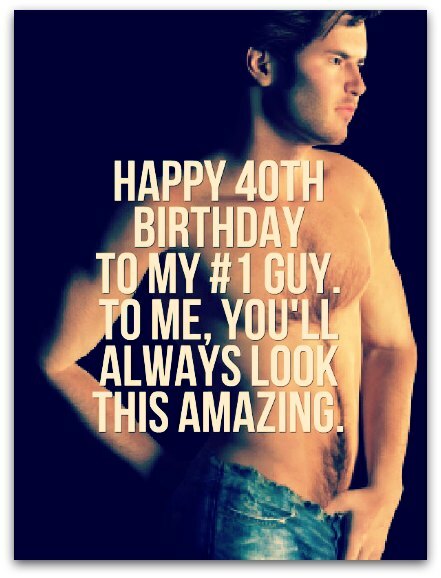 Great things happen at 40, especially to someone like you. You know precisely what you want in life...and you have the courage to go get it. You definitely don't look a day over 39! Happy 40th birthday! 40 agrees with you. Here's to you getting the next 40 years to agree with you. Happy 40th birthday! You're still fabulous at 40. May you stay fab for years to come! Happy 40th birthday! Happy birthday! Nobody looks as amazing as you do at your age — you're ruining 40 for the rest of us. Happy 40th birthday! I hope whatever you do to look and act so young is contagious — and I catch it. 40 is not middle age. It's the adolescence of middle age. Happy 40th birthday. For some people, turning 40 is all about whitening your teeth, coloring your hair and dowsing yourself in anti-wrinkle cream. For you, it should be about accepting your awesomeness (because you're awesome just the way you are). Happy 40th birthday. There's only one way to age gracefully at 40 and it's doesn't come out of a bottle or from a scalpel: it comes from adding 10 years to your age, so you always look a decade younger. If the first 40 years of your life are any indication, the next 40 should bring you even more joy, prosperity and love! Happy birthday! Happy birthday! Although you're not a kid anymore at 40, don’t ever neglect the kid in you. Take him out now and again for some quality time. Hitting 40 is a major milestone, so you have two options: milk it for what it's worth or lie about your age until you can get a senior discount out of it. Happy 40th birthday! At 40, it’s not too late to make your dreams come true. You’ve only just begun to live life your way. Happy 40th birthday! When it comes to you, age is more than a number. It's a celebration, a beginning, a spark, a way forward with no end in sight. Happy 40th birthday! Stay young at heart and make time to play, even if your age indicates otherwise. Happy 40th birthday! Happy 40th birthday! May you have the courage to start a new chapter in your life, live by the words you write in it and keep turning every page. Happy birthday! So what if you're 40 now. Be thankful that you aren't 40 in dog years. Stay fabulous at 40 and you'll be fabulous at 50, 60, 70, 80, 90, 100 and beyond. Happy 40th birthday!